Carnival masks abound in Venice, from tourist traps to street vendors, and to the workshops of some of the city’s most talented traditional artists. It is nearly impossible to walk down a major street in Venice without encountering masks. After hours of strolling the city’s snaking alleys, you may feel overwhelmed at the variety, or have the feeling that all the masks begin to look the same. The good news is that most Venetian mask makers welcome visitors into their studios to watch them work, ask questions, and buy off-the-shelf or custom designs. Take advantage of this excellent opportunity to learn more about this traditional art and meet the mascarer in person. It’s also the best guarantee that you will pay the lowest possible price for a truly authentic Venetian work made by hand. Some mask makers collaborate with costume specialists to create a truly stunning Carnival ensemble. If you plan to attend Carnival, you may wish to avail yourself of a rented costume along with a mask to match. The practice of renting Carnival frocks dates back to the beginning of Carnival itself. During the Renaissance costume-renters stayed busy supplying wealthy Venetians not only with Carnival costumes and masks, but also with an ever-rotating assortment of finery for major public events and private parties. By renting your costume, you will take part in a centuries-old custom. Today, some of the city’s most traditional mask makers break from the past by fueling their creativity into more modern subjects and whimsical themes: masks of demons, dragons, and even Marilyn Monroe. A few workshops offer totally unique creations, so keep your eye out for one-of-a-kind masks. You may wish to splurge on a custom design, which should set you back no more than what you might pay for one of the elaborate off-the-shelf designs. Italian artisans are famous for their custom designs. Just ask! Considering the amount of time, creativity, and labor that go into making an authentic Venetian mask, I consider masks a relative bargain and an ideal portable souvenir of a trip to Venice. Carnival masks made of metal and ceramic have become popular in recent years in the trinket shops across town. 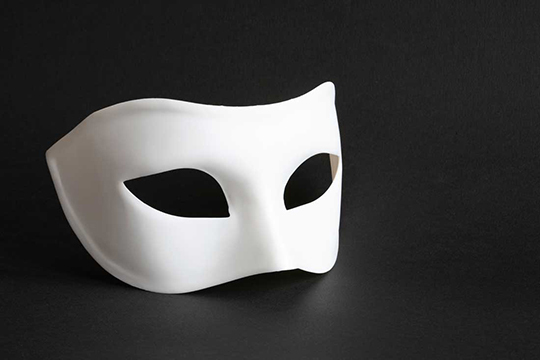 These masks typically are not based on historical models. Also, be aware that many of these masks are not made by hand, but rather churned out in factories. Many are not even made in Venice. Steer clear of the masks you see hanging by the dozens in trinket shops and street vendor stalls. Instead, buy directly from a mask artist to ensure that you’re buying an authentic and traditional mask. 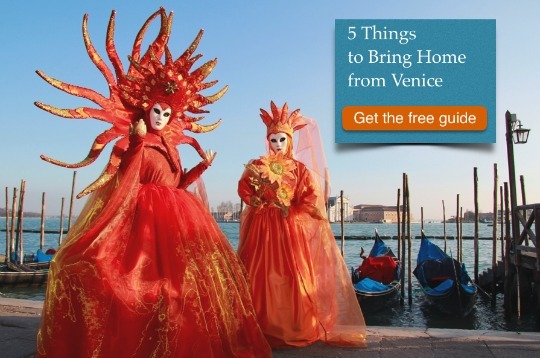 Have you discovered a one-of-a-kind Venetian carnival mask in your travels? Drop a comment below. I love to hear your stories! We were in Venice in September and acquired Two leaf masks from Le Bottega dei Mascareri. One is a long palm frond shape and one a maple leaf shape in antiqued gold. Sergio was most delightful and helpful. His shop full of beautiful creations! Love your articles!